This image is a free vintage easter illustration. 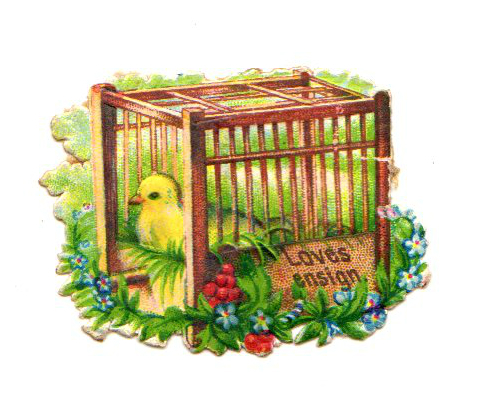 It features a charming yellow Easter bird in a floral birdcage. This image was curated and edited from my own personal collection of vintage scrapbooking die cuts. You are free to use this image in your personal and commercial work without permission, provided that you give credit to FreeVintageIllustrations.com if you share this image on your website, blog, or social media.